Armed robbery is no laughing matter. It’s the nightmare for retailers everywhere. Every retail storeowner needs to think seriously about preventing theft from a profit and loss perspective, but more importantly, they need to understand their responsibility in providing employees with a safe work environment, especially in the case of a violent armed robbery. In Surrey BC just a few weeks ago, multiple mobile phone retail stores were hit in an organized criminal attack and over $70,000 in mobile phones was stolen. This wasn’t an undercover break-in during the dead of night, these ruthless criminals entered the stores in broad daylight and took over the premises, terrorizing the staff with weapons and then they made off with the goods. All these mobile phone stores had CCTV cameras installed to record people coming into the store, but I can’t emphasis enough that CCTV cameras that just record the comings and goings of store traffic are not a deterrent for theft, and they are definitely not a serious security system designed to protect the safety of employees. Watching the actual video of the robberies taking place in the mobile stores in Surrey is a sad reminder that an integrated, high quality security system is necessary, and that employee protection is number one. The story clearly shows that the CCTV cameras recorded the entire event. However, in terms of protecting the lives of the employees and actually catching these thieves - the conventional CCTV camera system just doesn’t deliver any more value. What is needed is a CCTV camera system with a fully integrated verified alarm system, that can monitor all aspects of the store, with complete audio and video surveillance, door alarms and panic buttons. Retail stores that are very vulnerable to theft, and especially armed robbery, must invest in improving their security systems. Many just have cheap CCTV systems bought off the Internet with no other security features. Retailers cannot put the lives of their store employees on the line. To solve this problem and to help stop rampant crime in our neighbourhoods and cities, I recommend adding SonaVision monitoring to your existing CCTV system. On activation Sonitrol staff will be able to see your robbery live and advise the Police what is happening in real-time. More importantly, armed robbers know who Sonitrol is; they know about our relationship with Police and quick the Police response Sonitrol alarms get ... Therefore professional armed robbers stay away from Sonitrol as they know they will get caught! Why Is A Sonitrol Retail Security System Better? 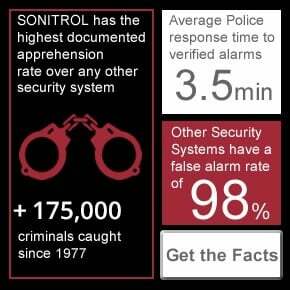 Because local Police and law enforcement are familiar with how good our Sonitrol verified alarm system is. They respect The Sonitrol Alarm Systems, and more importantly they trust our alarms. Therefore the Police respond to Sonitrol alarms in an average 3.5 minutes! That’s enough time to catch the criminals. The police would be onsite at the robbery quickly and they would be able to manage the dangerous situation instead of just following up at some later time. The police are experts in handling armed robbery situations and the sooner they are aware of the crime in progress the better. One of the employees in the Surrey mobile phone store robbery said, “When I was laying down facing the ground, I was just … I hope these guys take whatever they want and leave me the hell alone … you don’t want to go to a workplace in broad daylight and have to worry about getting killed.” No retailer can put their staff in this amount of danger. You wouldn’t think that working in retail would bring this kind of danger - but unfortunately, armed robbery and theft can happen at anytime, anywhere. Some types of retail locations like jewellery stores and pharmacies are higher risk, but any retail store can be robbed and any employee victimized. If you’re concerned about robbery in your retail business, or you have other store security issues, like shoplifting call us as we can help. We specialize in retail burglar alarms. We’ll provide you with an evaluation of your premises, and we’ll help you take the first step in making sure you have the RIGHT security system installed to protect your employees. 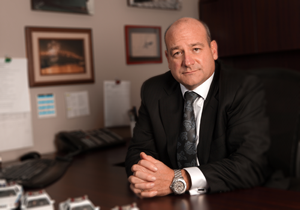 We're so confident in our technology and responsive service, that no one else in the industry can match our guarantee. Our unique verified audio and video business security solutions enable our operators to hear and see what is happening in your business before the criminals gain entry!! We verify the actual source of the alarm, and we get the police to attend the scene immediately. FOR A FREE SECURITY AUDIT, click here, or call 1-866-766-4876.